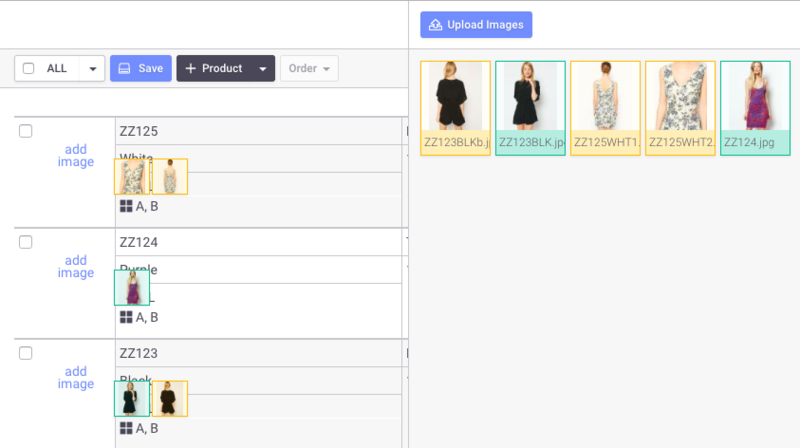 This article assumes that you have already created multiple products in your Products page without images, either Manually or by Importing Products through Excel. To learn more about creating Products in Brandboom, see this article. Since the Auto Match feature attempts to match the image's file name with an existing product's STYLE ID and OPTION CODE, we suggest naming your images accordingly for accurate matches. 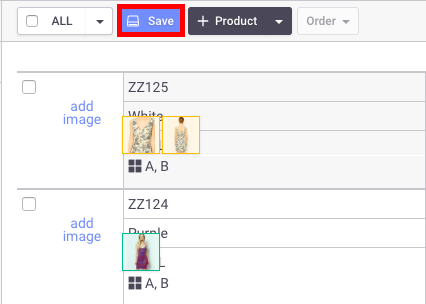 If you want to match multiple images with a single product, simply add a number to the end of the image name and the system will recognize it as an additional match. Additional images should be named Handbag-Green1.jpg, Handbag-Green2.jpg, Handbag-Green3.jpg and so on. Once you've prepared your products and uploaded your images, you are ready to start matching! icon in the top right hand corner for List View. 2) Click the image space where "add image" appears, to bring up the Media Bin. The Media Bin will appear on the right. 4) Take note of the Auto Match disclaimer and click "Yes" to proceed. 5) Once Auto Match completes, you will be prompted to verify the accuracy of the auto-matched images before saving. 6) Check to see if the images are matched properly. 7) If you are satisfied with the matches, click the save icon at the top to save the matches. If you are not satisfied with the matches, click the thumbnails of the incorrect images and they will be sent back to the Media Bin. To exit and cancel all of the suggested matches. click "EXIT" on the top right of the Media Bin.